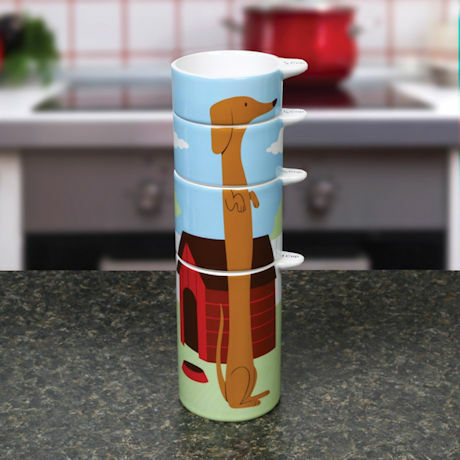 Stack the cups to line up the image. Perfect for cooking and baking. 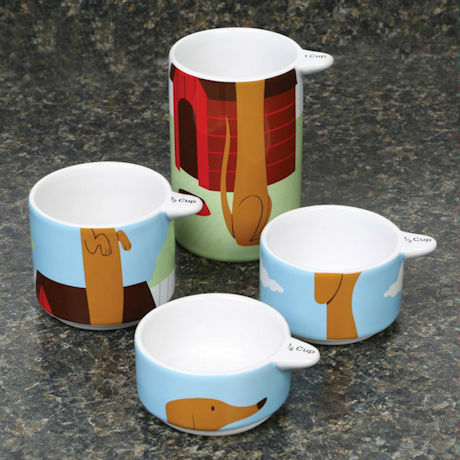 Set includes 1 Cup, 1/2 Cup, 1/3 Cup, and 1/4 Cup. Ceramic. 9" x 2.5"